This salad has all the flavors. The adobo gives it a smoky heat that pairs really well with the black beans. The honey and squash bring sweetness to the party while the goat cheese is tangy and creamy. This holds well in the fridge so you can make a big batch and eat it all week; it’s super filling. Also, you still have the basic/Fall thing going on with the butternut squash so that’s a plus. 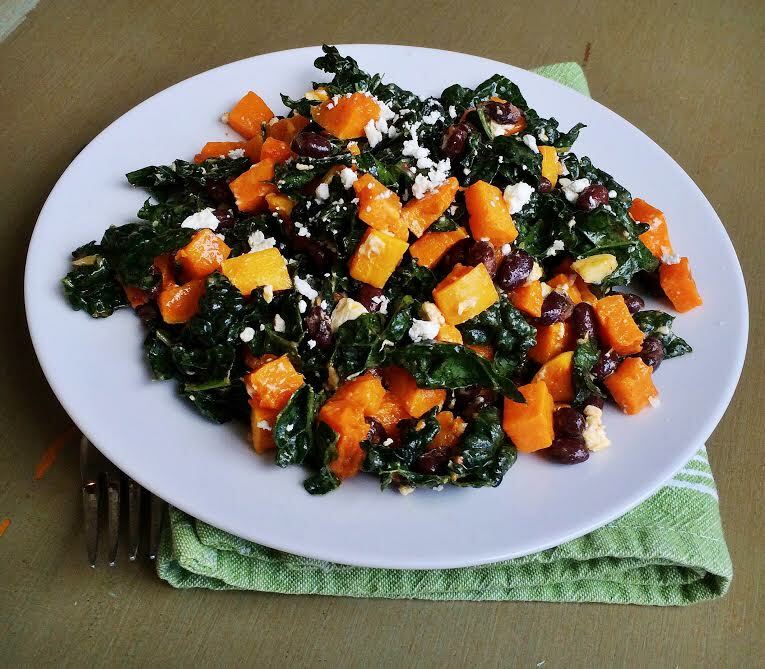 Heat oven to 400 degrees F. Toss butternut squash with 1 tablespoon of olive oil and salt to taste. Spread on baking sheet and roast for 20-30 minutes, until tender. In a small bowl, stir together 0.5 teaspoon salt, red wine vinegar, Dijon mustard, honey, adobo sauce, two tablespoons olive oil and garlic. Sprinkle kale lightly with salt and massage into kale. 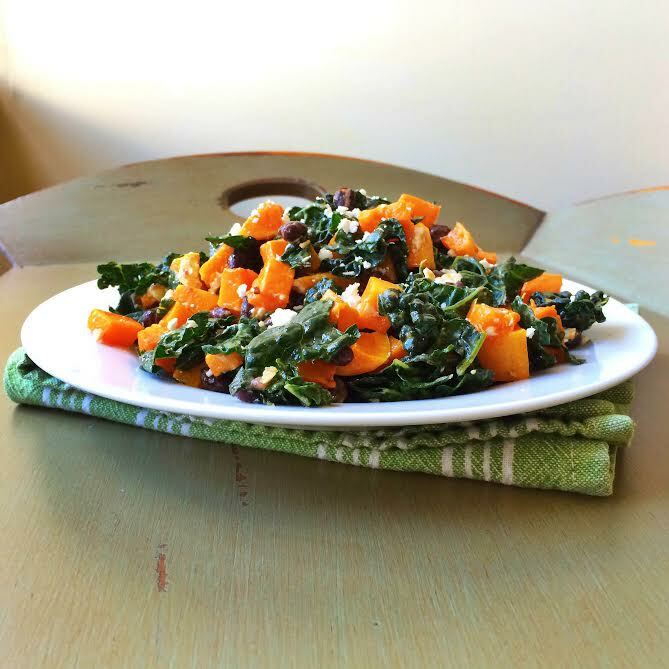 Toss kale with black beans, squash and dressing. Top with goat cheese. I LOVED this salad! It was beyond easy to make and so filling. 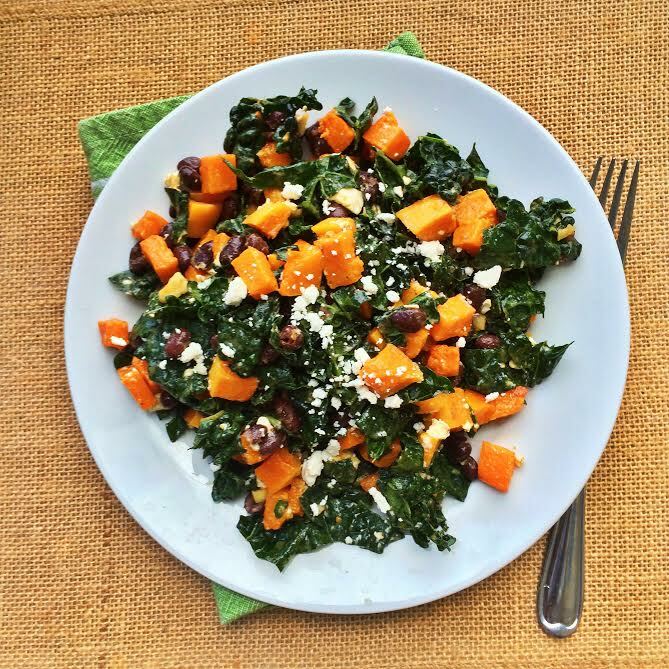 Plus it had an amazing garlicky dressing that paired well with the hearty beans and squash! 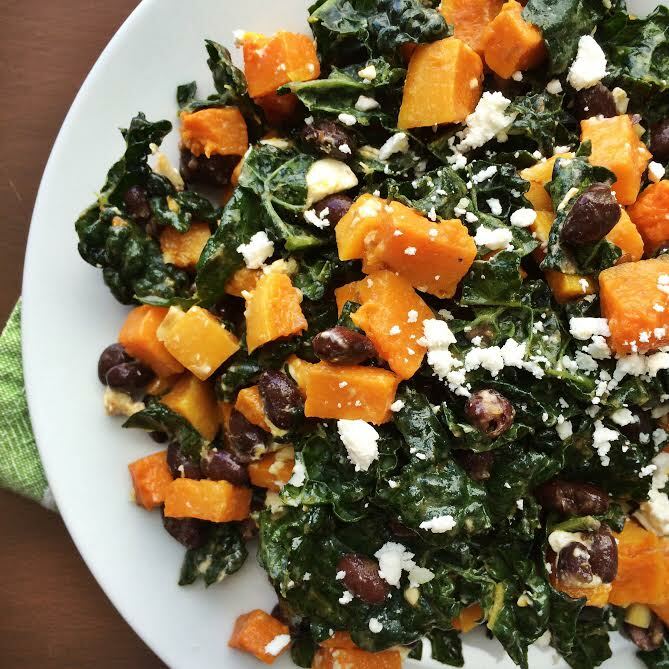 This looks like a delicious Fall salad. Love the addition of the adobo! This was such a hit at our 4th of July party! Delicious! Yay love that so much! !